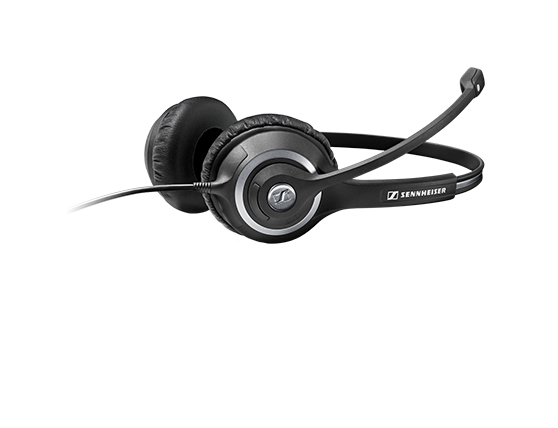 Sennheiser SC 238/268 - - Circle™ SC 238 and SC 268 are wired headsets optimized for high impedance/narrowband desk phones. Designed for contact center and office professionals requiring outstanding sound performance, durability and all day wearing comfort. 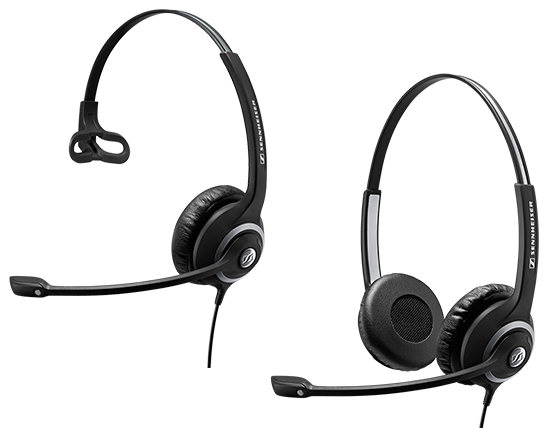 Circle™ SC 238 and SC 268 are wired headsets optimized for high impedance/narrowband desk phones. Designed for contact center and office professionals requiring outstanding sound performance, durability and all day wearing comfort. A single-sided wired headset for users in busy contact centers and offices, who require outstanding sound performance while maintaining contact with their surroundings. A double-sided wired headset for users in busy contact centers and offices, who require outstanding sound performance in noisy environments. Sennheiser Voice Clarity and a noise-cancelling microphone optimize speech intelligibility in noisy environments. Features leatherette ear pads and Sennheiser ActiveGard® acoustic shock protection. Designed for contact center and office professionals requiring outstanding sound performance, durability and all day wearing comfort. Designed for all day use, the CircleFlex™ dual-hinge ear cup with soft leatherette ear pads provides long-lasting comfort. ActiveGard® technology protects users from the potential danger of acoustic shock of unexpected and extremely loud sounds on the line. Its durable construction with lightweight, metal reinforced headband is designed for years of continuous use. Sennheiser ActiveGard® technology protects users from acoustic shock.